CONTRACTORFIND.co.za™ is proud to showcase only the best, registered and certified Artificial Grass Installers in Johannesburg. Need qualified Artificial Grass Installers for the job? CONTRACTORFIND.co.za™ is the place to find them! All the listed Artificial Grass Installers below have been screened and certified, ensuring that their service and quality is the best in Johannesburg. 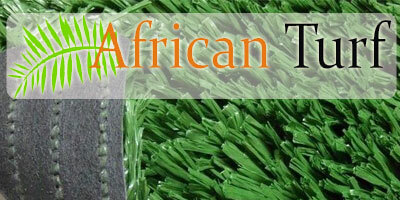 Find the top Artificial Grass Installers in Johannesburg now. 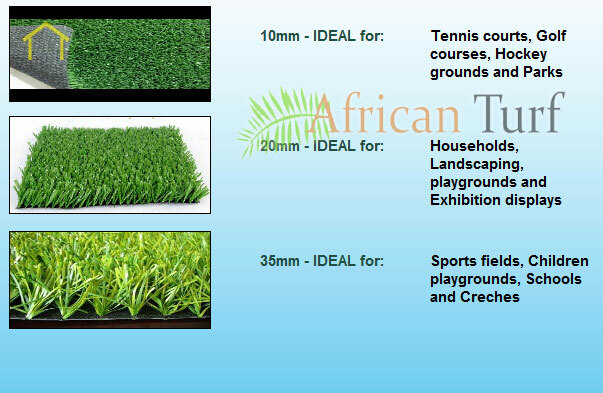 We specialise in supplying and installation of synthetic lawns all over South Africa. Our dedicated teams of installers are spread all over the country to help with installations. But why would you give-up your current lawn for a "fake grass lawn"? Artificial grass has several advantages over natural lawns. Natural lawns in South Africa are often kikuya, berea, buffalo or bermuda. These grass types need plenty of sunlight and water to stay green. If you live in an arid part of the country or have a shaded area in your lawn, then natural grass will not provide the green cover you need. Artificial grass will withstand wear and tear better than natural lawn. Pets will often run along the same line on a lawn, causing dead patches on the lawn. Artificial grass does not have this problem. Lawn maintenance is a thing of the past, well almost. An artificial lawn requires no cutting, watering, insecticides or fertilizer, so less garden service needed. It is ideal for roof gardens, around pools, shady areas in your garden or even a small townhouse garden. There are a few disadvantages to using a synthetic lawn. The grass will get much hotter than natural grass in summer. Your artificial lawn will require disinfecting from time to time. If you have a small lawn, and hate maintaining it, then get an artificial lawn installed. Today's artificial grass has it's roots back in 1966 when Astroturf was used for the first time in Major league baseball. Astroturf has gone through several evolutions and today we have modern or third generation artificial grass. Artificial or synthetic lawn manufacturing has improved, and the cost has gone down over several decades, to the point that this type of lawn is now cost effective in the residential market.